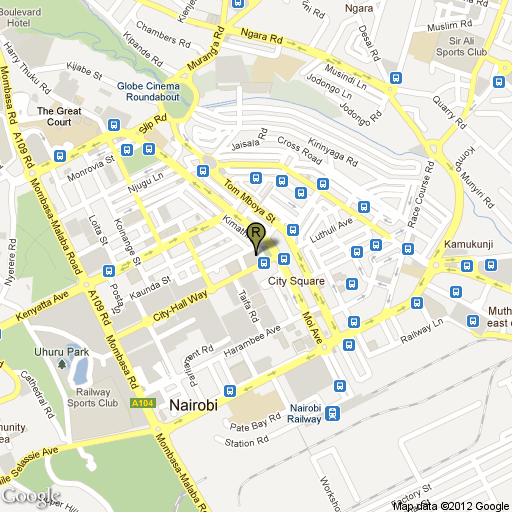 The Café Americain is located in the Hilton Nairobi, and serves breakfast and lunch daily. It is a popular spot for business people and diplomats to meet for breakfast. 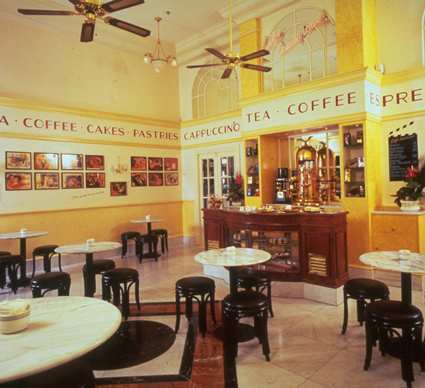 The cafe boasts a wide array of teas and coffee (including espresso), and serves a variety of baked goods, including pastries, cakes, and baguette. The decor is colourful, with walls covered with images of famous Hollywood actors. Seats up to 24 people. Takeaway service is available.